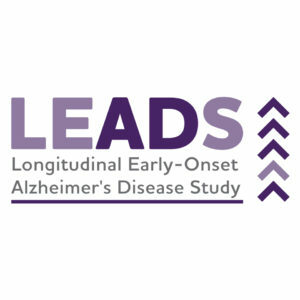 The Longitudinal Early-onset Alzheimer’s Disease Study (LEADS) is a non-treatment national research initiative for adults diagnosed with early-onset Alzheimer’s disease (EOAD) and cognitively normal adults. Researchers will collect data from both groups in order to better understand EOAD. The study will look at the relationship between clinical, cognitive, imagine, genetic and biomarker tests to better understand EOAD. Individuals age 40 to 64 with a diagnosis of Mild Cognitive Impairment (MCI) due to Alzheimer’s disease (AD) or probable AD dementia OR individuals age 40 to 64 with normal cognition. Participants must have a reliable study partner who can provide information to our research staff about the participant’s functioning and accompany the participant to study visits for the duration of the study. Must be willing and able to complete an MRI scan, PET scans, and other study procedures. All participants will be asked to come in for an initial screening visit to determine eligibility and a baseline visit. These visits will be spaced out over multiple days in about 45 days. All participants will return for a 12-month follow-up visit with various study procedures. EOAD participants will also return for a 24-month follow-up visit. Participants will be compensated for their time and travel. Before enrolling into the study, the participant and study partner must read, understand, and sign a formal consent form, which fully explains the study.